We are a local, family owned business. We strive to have a fun, bright, family-friendly atmosphere that appeals to all ages. We're happy to host parties and groups with our ample seating. 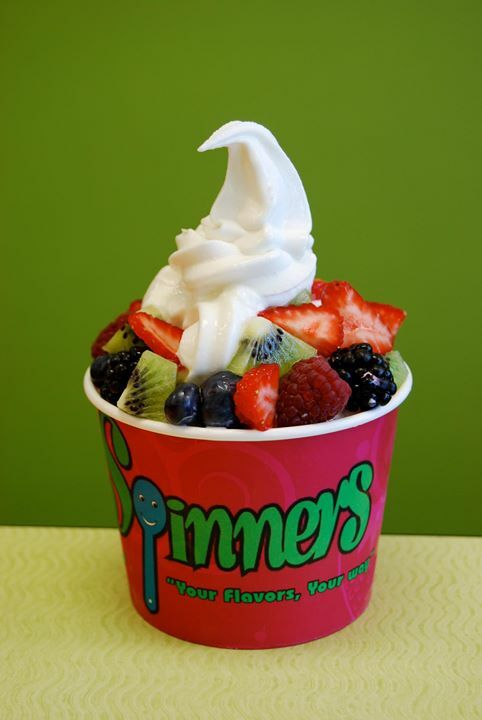 We have 24 flavors of frozen yogurt, sorbets, and ice creams. Have your treat in a waffle cup or cone, traditional cone, dish, or a Spinner-your yogurt/ice cream and toppings spun into creation of your making! We offer fresh fruit, candies, cereals, cookies, a huge variety of syrups, and nuts to top off your treat. And don't forget the whipped cream and cherry on top! !